MS Ventilation, locally established company is featuring an indigenous of wind turbine roof ventilators for the first time in Ethiopia. The locally made hi-tech wind turbines are used to exhaust heat, smoke, dust and smell or bad odor in factories, warehouse, kitchens, assembly halls, and other place with out using electric city. Ms Ventilator circulates and expels the trapped hot air by maintaining a continuous air flow. This action reduces the cost of running conditioners and fans. This hot air may be internally generated from activities in the room or as a result of sun load on the roof. Ms Ventilator remove heat, smoke fumes, odour and dust ensuring a healthy environment. Our product are made from mainly galvanized iron sheets and aluminum sheet for beauty and durability, all available according to the customer’s choice and demand. The following models have been made availability since the beginning of 2010 with more models yet to come. Jumbo 600 mm throat size which covers approximately 1000 meter cubic area subject to activities in the room/ usually Used. Ms Ventilation is pride in the following attributes against its competitors. exhaust dust, smoke Heat, Bad smell from factories, kitchens, printing press poultry houses, gymnasiums, warehouses, pastries etc. This bearing system enhanced with graphite powder doesnot require frequent maintenance. 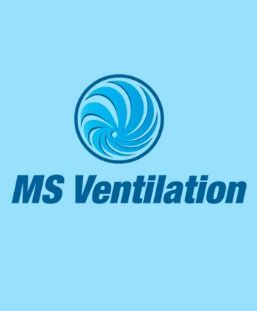 Ms Ventilators are constructed of lightweight materials and a broad choice is available to suit user specification on anti corrosion, beauty and corporate banding. They exhaust hot air caused by stack effect even when there is no wind.